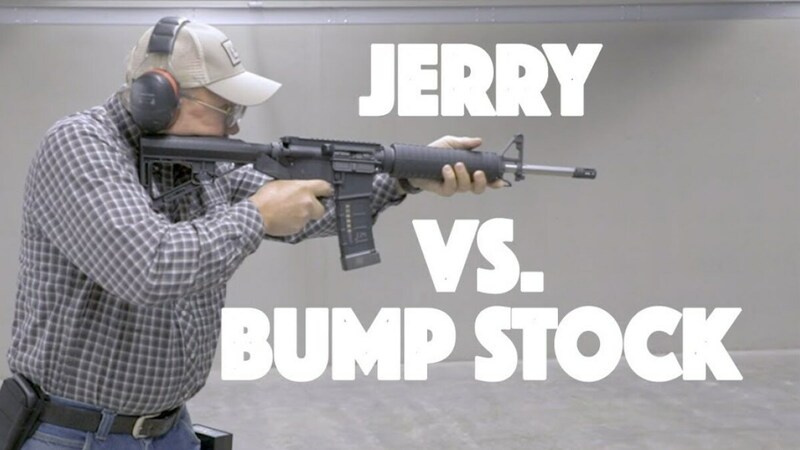 Wanting “to see what all the noise is about,” professional competition shooter Jerry Miculek clocks in with a borrowed bump stock to see if he can beat it. As his name has been repeatedly dropped in the debate over the now-controversial novelty that is subject to a looming ban in March, Miculek gives it a try. In the end, he outshoots the troublesome device with one of his semi-auto race guns, no problem. For reference, Guns.com was on hand when Miculek set a new record the 2017 SHOT Show when he succeeded in engaging three different targets at 15 feet, shooting each multiple times center mass in 1.59 seconds– which is now slow for the ever-improving competitor. No bump stock was present.